Microsoft is king when it comes to over-engineering applications, and this everything but the kitchen sink philosophy has resulted in some interesting uses for PowerPoint. As you already know PowerPoint can be used to create Twitter backgrounds and bore unsuspecting coworkers into a coma, but did you know that it can also be used for the following? Productivity expert and graphic designer David Seah has an awesome tutorial that shows you how to design a killer resume using PowerPoint. The great thing about David’s tutorial is that it’s based on his own resume, which was designed after scanning through 100+ resumes to see what did and didn’t work with existing designs. I found this video via PowerPoint Heaven and can only assume that it took a lot of work to create, so I would advise against doing something this elaborate unless you’re a glutton for punishment. What you could do is use images and PowerPoint’s animation tools to create a simple tutorial, banner ad, or informational video for your site. 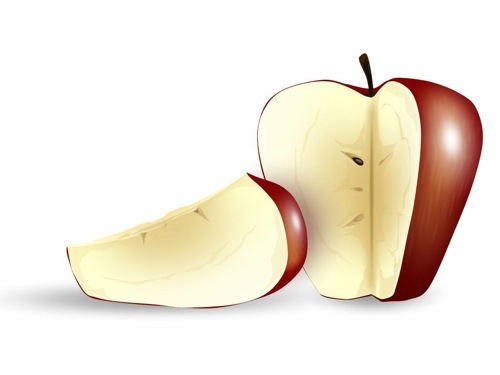 If you’re a PC, you can use a free trial of Techsmith’s Camtasia to create your video; and if you’re a Mac, then just use the Save As Movie… option in PowerPoint. Vector graphics are usually reserved for apps like Illustrator and FreeHand, but this tutorial from Mark Normand shows you how to create vector graphics using PowerPoint. Of course, you won’t be able to save the graphics in a vector format (e.g. AI, SVG), but you could easily create the effect in your presentation or on your site. I used action buttons, triggers, and other settings, and hyperlinks to create interactivity. 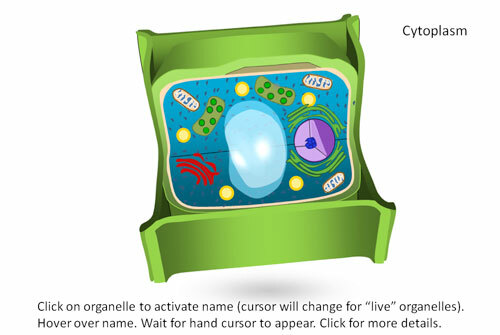 By just clicking on an organelle inside of a plant cell, one can see the name of that organelle. Then, by clicking on the name of the organelle, the viewer can see more detail. Here I used animation effects (entrance, exit, and motion paths) to demonstrate how the organelles work. Lauren’s original file can be downloaded by individuals running a genuine copy of PowerPoint 2007, but non 2007 user can visit Mark’s tutorial on creating 3D people for business graphics as a primer. I’ve always maintained that PowerPoint is not a substitute for Photoshop, but examples like Jerry’s PowerPoint Apple are seriously making me reconsider my position. Jerry has created a basic PowerPoint art tutorial that shows you how to use PowerPoint’s curve and formatting tools to create your own works of art. You can also find the PowerPoint Apple file from above on Jerry’s PowerPoint Heaven profile. PowerPoint isn’t putting graphic designers out of work anytime soon, but it’s definitely a tool to take advantage of when you don’t have access to programs like Photoshop, Illustrator, FreeHand, or InDesign. By the way, feel free to leave a comment with any uncommon uses for PowerPoint that you’ve discovered! Hey you should also check out Art of Office. They have a nice selection of not only uncommon PowerPoint works, but Word and Excel as well! Regarding PowerPoint Heaven and movies: as member of that group and a hobbyist in such fare, please allow me to add that there’s a lot more available there than what you’ve highlighted. The group hosts many other cartoon- and anime-style productions with film-festival recognition among their ranks, all with animation produced entirely in Powerpoint, e.g. http://pptheaven.mvps.org/rewrite.html and many others. Interested readers of your article will undoubtedly enjoy what they will find! @Tim – Using PowerPoint for games sounds like a great way to keep long meetings entertaining. 😉 Thank you for the links! @Riona Torres – Wow, you’re a treasure trove of links on this subject! Thanks again for the link! I’ve never been a fan of PowerPoint in general…or excel…but my issues with PP may simply stem from my disdain for public speaking. My point is, thank you for shinning some light on a gloomy program. Will definitely give some of these examples a spin.